The stock markets got another king-sized jolt Tuesday as WorldCom revealed what could turn out to be one of the biggest accounting scandals in U.S. history. The telecommunications company said it had fired Chief Financial Officer Scott Sullivan, and accepted the resignation of senior vice president and controller David Myers, after an internal audit found improper accounting of more than $3.8 billion in expenses over five quarters. The misstated billions are also very bad news for ordinary WorldCom workers: 17,000 of them will be fired, with layoffs beginning on Friday. WorldCom said it will restate its financial results for all of 2001 and the first quarter of 2002 to take almost $3.8 billion in cash flow off its books, wiping out all profit during those times. The company's shares, among the most heavily traded on Wall Street in the past few months, fell as much as 76 percent in after-hours action following the announcement and at one point were trading at 20 cents each. In January, they were trading at about $15. "This is why the market keeps going down every day - investors don't know who to trust," said Brett Trueman, an accounting professor from the University of California-Berkeley's Haas School of Business, in an interview with CBS MarketWatch. "As these things come out, it just continues to build up." WorldCom said that accounting irregularities involving expenses and capital expenditures inflated its cash flow and that otherwise it would have reported a net loss for 2001 and the first quarter of 2002. The company said the accounting irregularities, which did not conform to Generally Accepted Accounting Principles, included transfers between internal accounts of $3.06 billion in 2001 and $797 million in the first quarter of 2002. Accounting firm Andersen had audited the company's 2001 financial statements for 2001 and reviewed WorldCom's books for the 2002 first quarter. The embattled auditing firm, already reeling from its role in the Enron crash, wasted no time in distancing itself from WorldCom, which had recently hired new auditors. Andersen said on Tuesday its work for WorldCom Inc. complied with professional and Securities and Exchange Commission standards. "The WorldCom CFO did not tell Andersen about the line cost transfers nor did he consult with Andersen about the accounting treatment," Andersen said in a statement. "It is of great concern that important information about line costs was withheld from Andersen auditors by the chief financial officer of WorldCom." 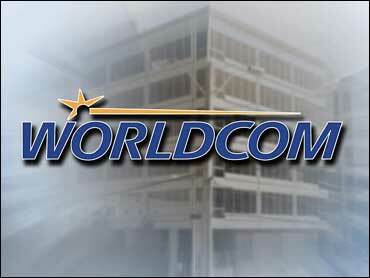 The auditing firm said that WorldCom's financial statements for 2001 should not be relied upon. "Our senior management team is shocked by these discoveries," John Sidgmore, who was appointed WorldCom CEO on April 29, said. "We are committed to operating WorldCom in accordance with the highest ethical standards." WorldCom said it has notified its new auditors, KPMG LLP, and has asked it to conduct a comprehensive audit of the company's financial statements for 2001 and 2002. "I want to assure our customers and employees that the company remains viable and committed to a long-term future," Sidgmore said. "I have made a commitment to driving fundamental change at WorldCom, and this matter will not deter the new management team from fulfilling our plans." Some analysts say the news could be a body blow to WorldCom, which is reeling from a low stock price, a crumbling telecoms market and an ongoing Securities and Exchange Commission investigation. Rick Black, analyst for Blaylock & Partners, L.P. in New York, said bankruptcy could be the only alternative for WorldCom. "For a company with $30 billion in debt, that has a sector deteriorating from competition ... it's not looking good," said Black. The revelations add WorldCom to a growing list of companies struck by accounting scandals, led by Enron Corp., Tyco International Ltd. and Adelphia Communications, that have shaken public faith in business and Wall Street and created a flood of shareholder lawsuits. WorldCom grew from a small long-distance company into a telecommunications force through more than 60 acquisitions in the past 15 years. The rapid-fire growth was stopped dead in its tracks in 2000 when federal and European regulators blocked WorldCom's proposed $129 billion merger with Sprint Corp., citing competition concerns.